Unquestionably the most desirable area of town only minutes to downtown where the epicenter of activity, restaurants, cultural offerings and the city buzz is located. Combine the 5 star tree lined and gentrified location with a 2008 home that lives like brand new and you 8217;ve landed a winning combination. Old world charm in a smart floor plan, this privately situated and gated home boasts of maple, marble and Italian wood floors, volume ceilings, a reimagined kitchen with the latest look and feel of white cabinetry and top of the line appliances. Two enormous master bedroom suites are idyllic, one sporting a fireplace, and both with exceptional bathrooms. An office is located on the first level which could convert to a 3rd bedroom if desired. Terraces are featured through French doors in both bedrooms. Two new A/C 8217;s in 2016. Metal roof, architectural columns and custom shutters enhance the attractive exterior. The backyard is to die for. Heavily foliaged with new professional landscaping and irrigation, the cut stone pool deck and dreamy gas heated, salt filtrated swimming pool rounds out the incredible feel of the rear yard. A 20 KW generator is in place. This exceptional offering is even further enhanced by it 8217;s location in the famed Southside Elementary school district. Very easy to show as it is always in perfect condition. Please, send me more information on this property: MLS# A4430287 – $1,295,000 – 1053 Citrus Ave, Sarasota, FL 34236. 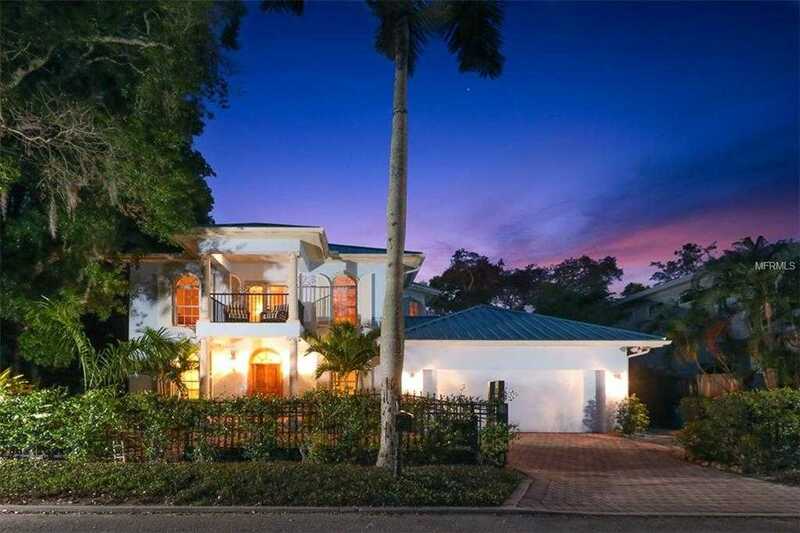 I would like to schedule a showing appointment for this property: MLS# A4430287 – $1,295,000 – 1053 Citrus Ave, Sarasota, FL 34236.